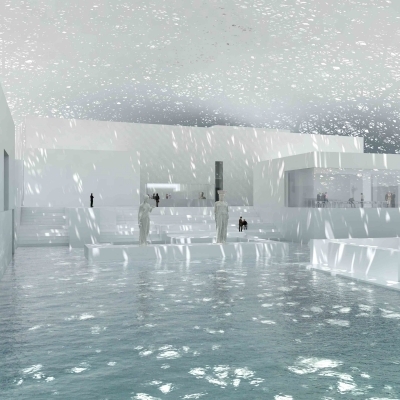 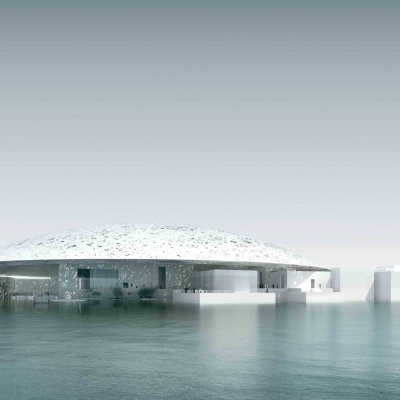 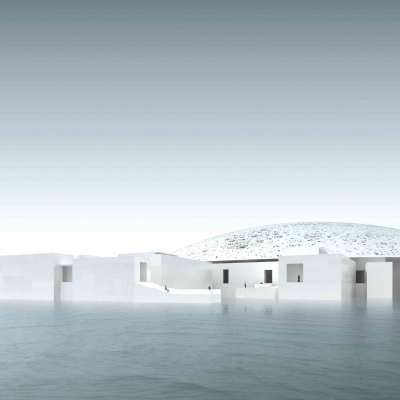 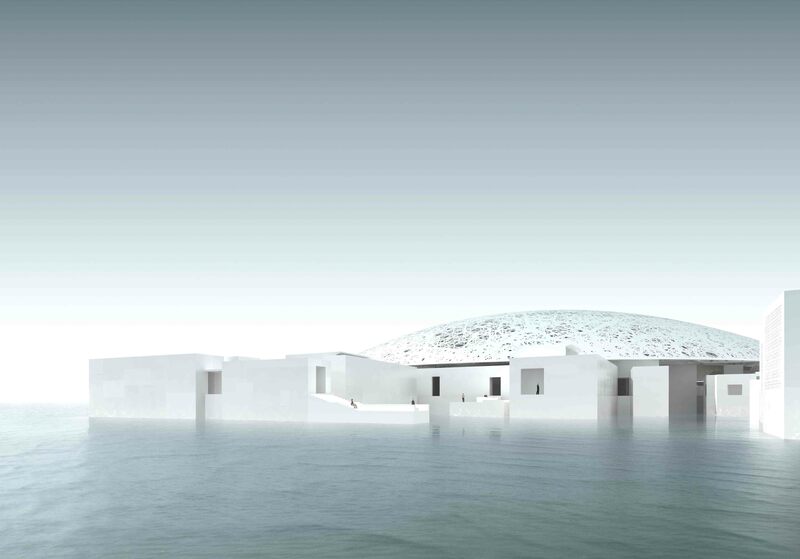 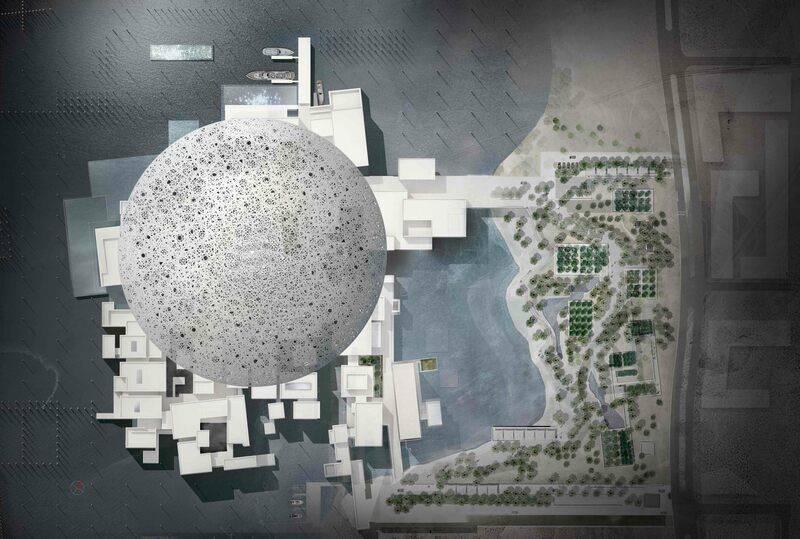 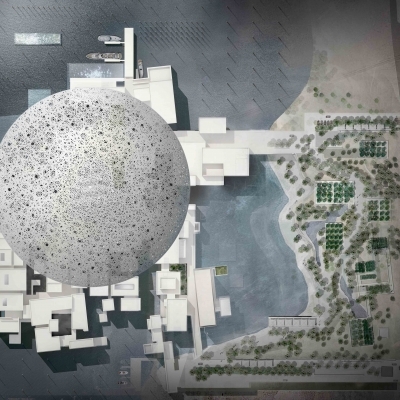 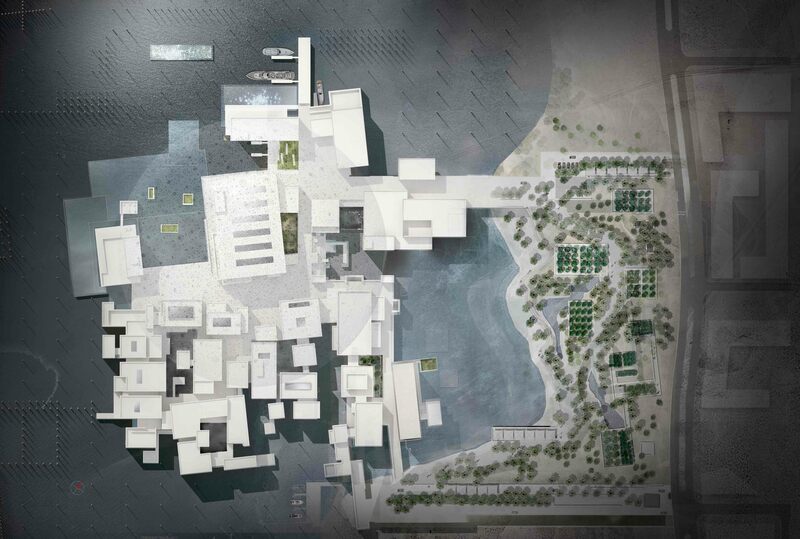 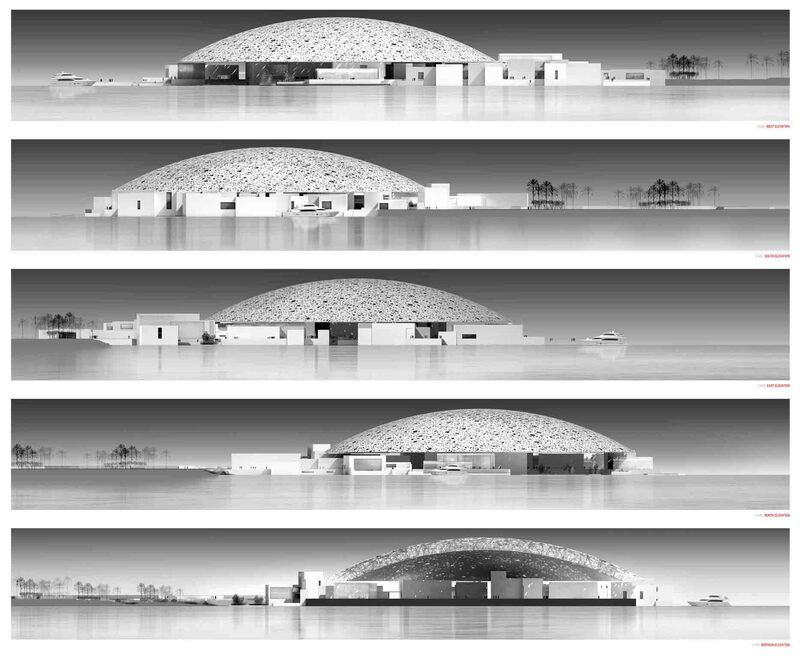 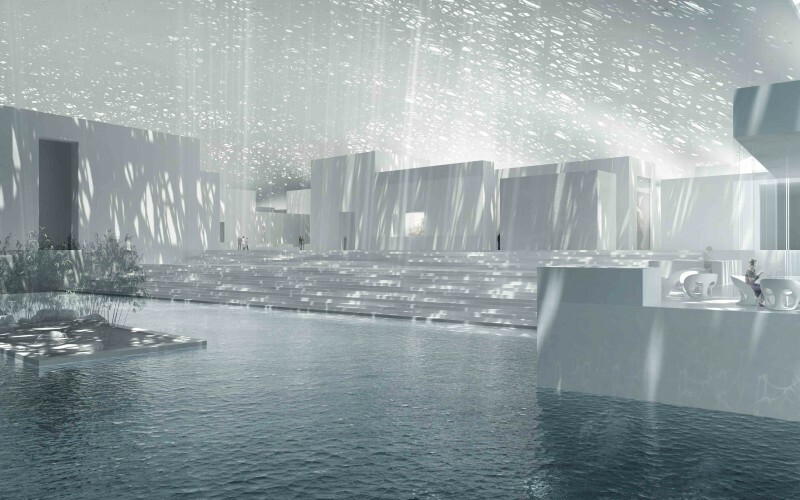 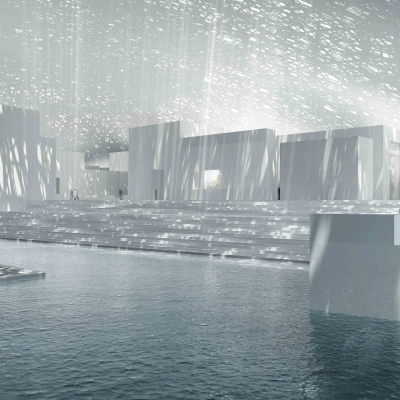 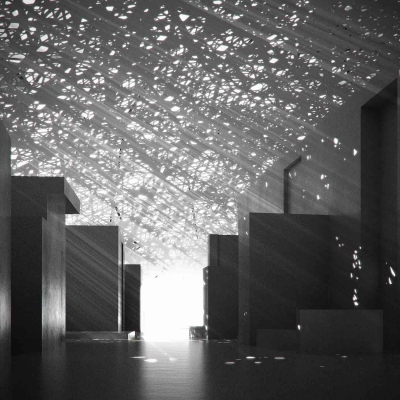 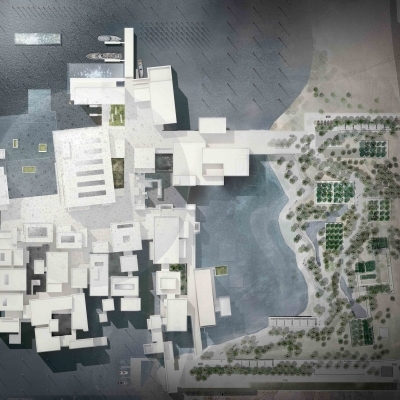 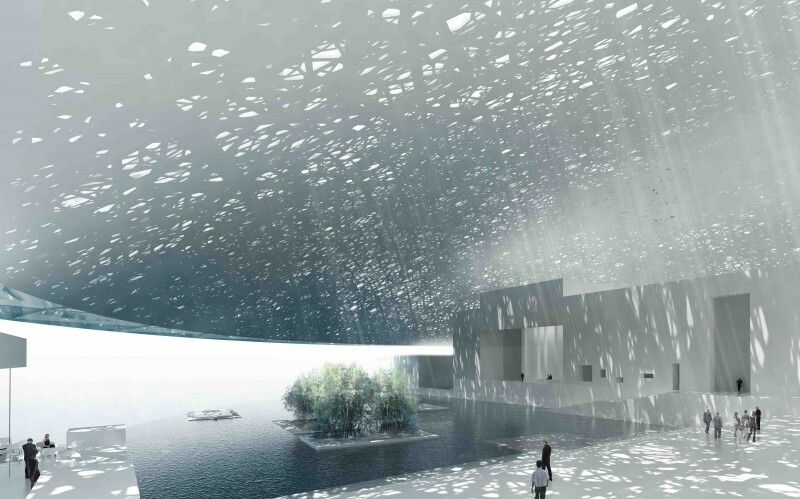 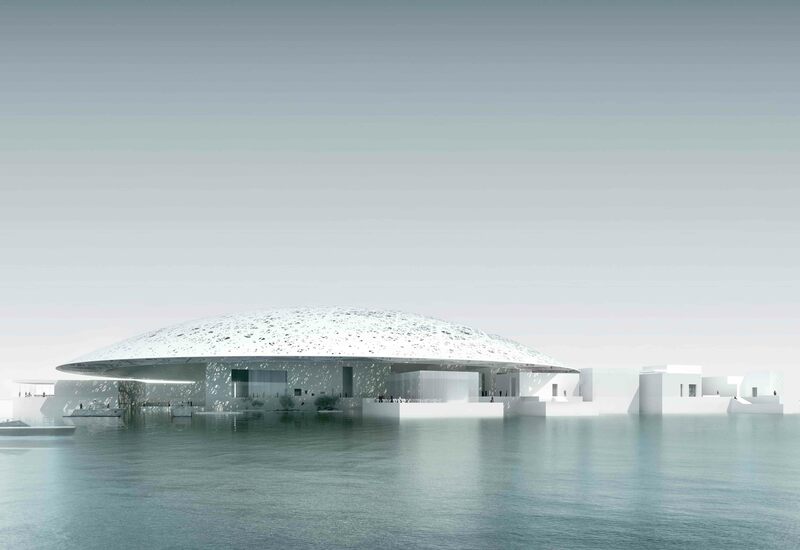 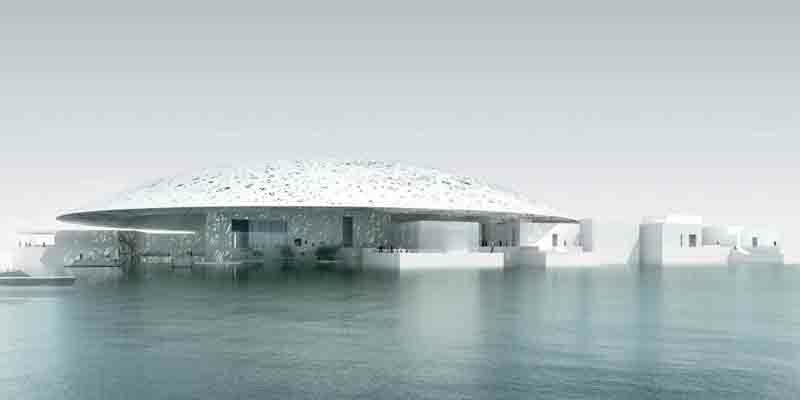 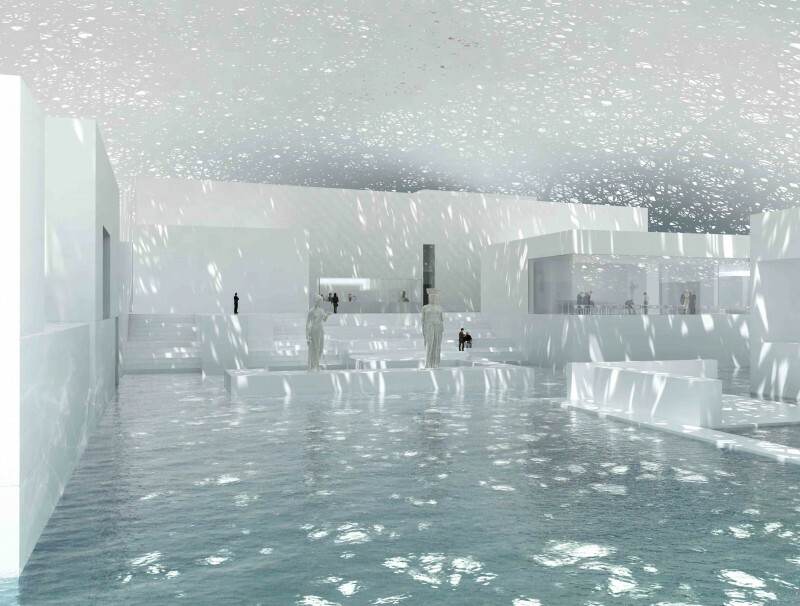 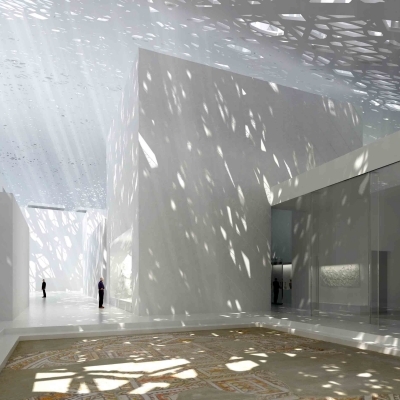 The Louvre Abu Dhabi Museum, designed by Ateliers Jean Nouvel, aims at creating a welcoming world which associates lights and shadows as well as shimmers and calm places in a serene atmosphere. 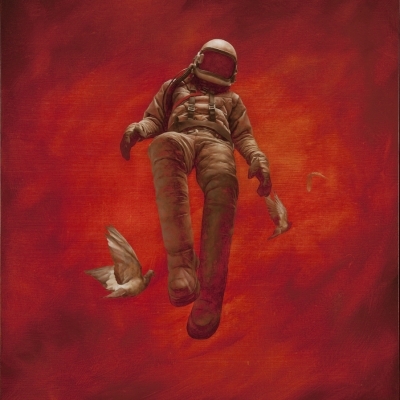 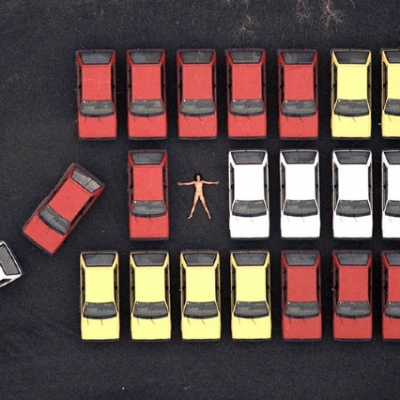 Its objective is to belong to its country, to its history, to its geography, avoiding being either a dull translation of this reality or a pleonasm meaning boredom and convention. 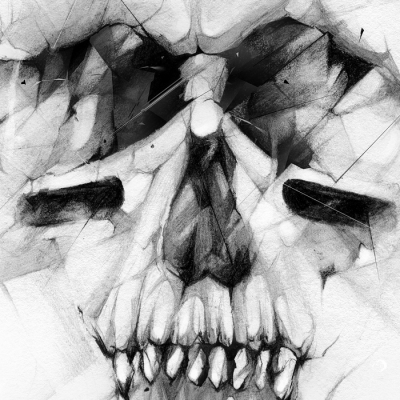 It also aims at emphasizing the fascination generated by rare encounters. 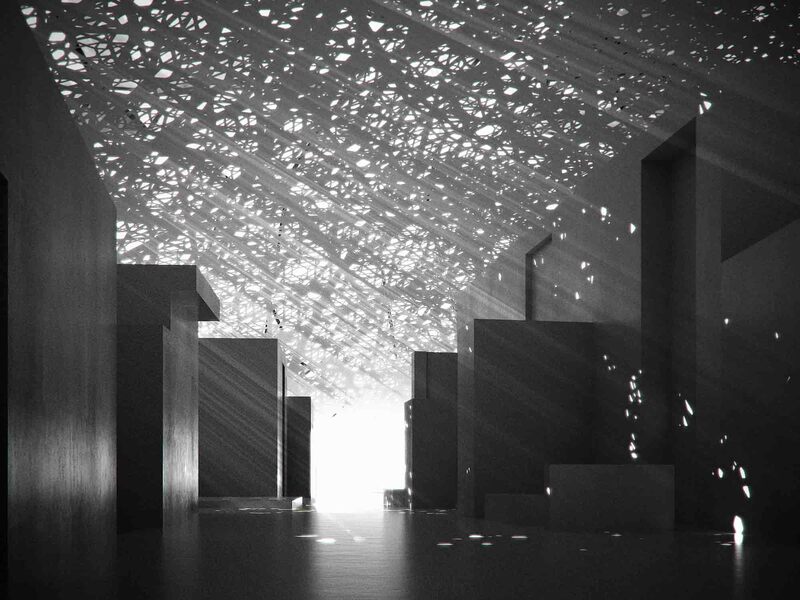 The project is based on one of the major symbols of Arabic architecture: the Cupola. 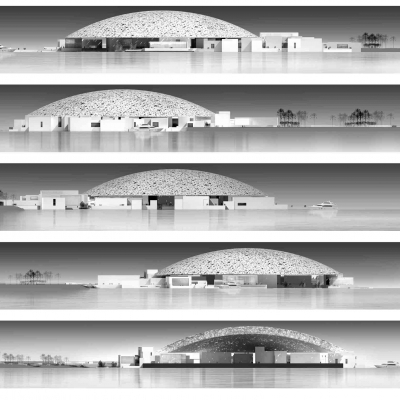 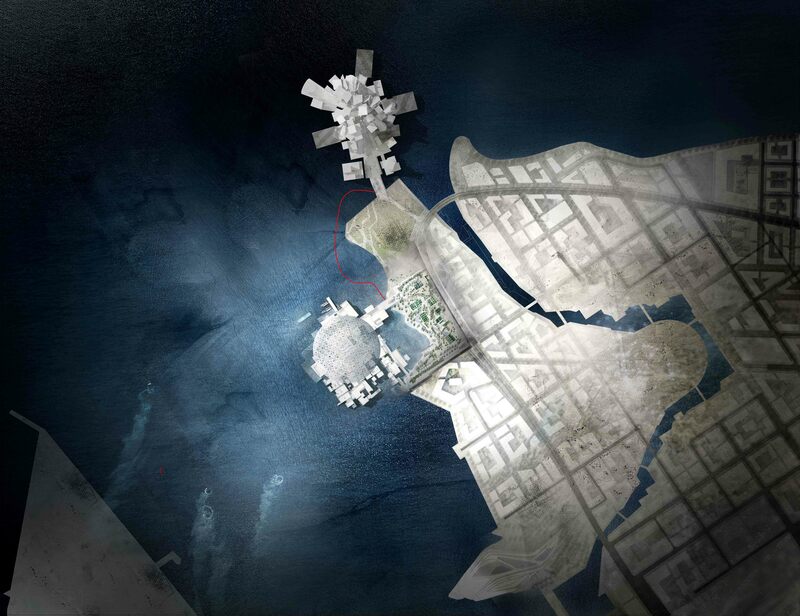 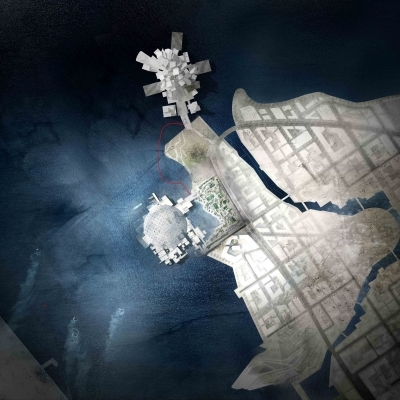 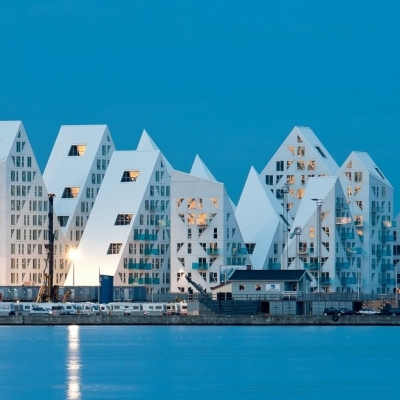 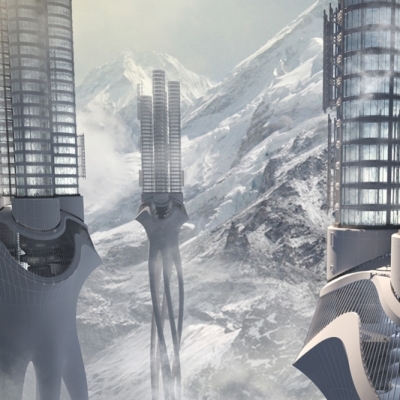 But here, it is a modern proposal made evident by its obvious gap with tradition. 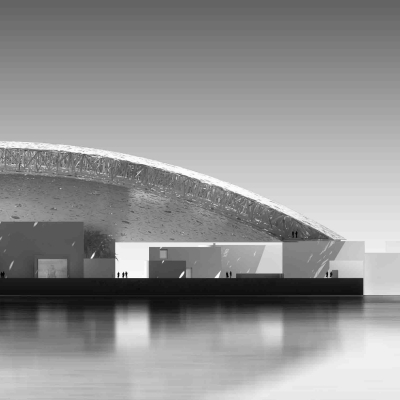 The dome is doubled and flat with a 180-meter diameter, offering a perfect luminous geometry drilled in a more random weaved material which creates a shadow punctuated with sun bursts. 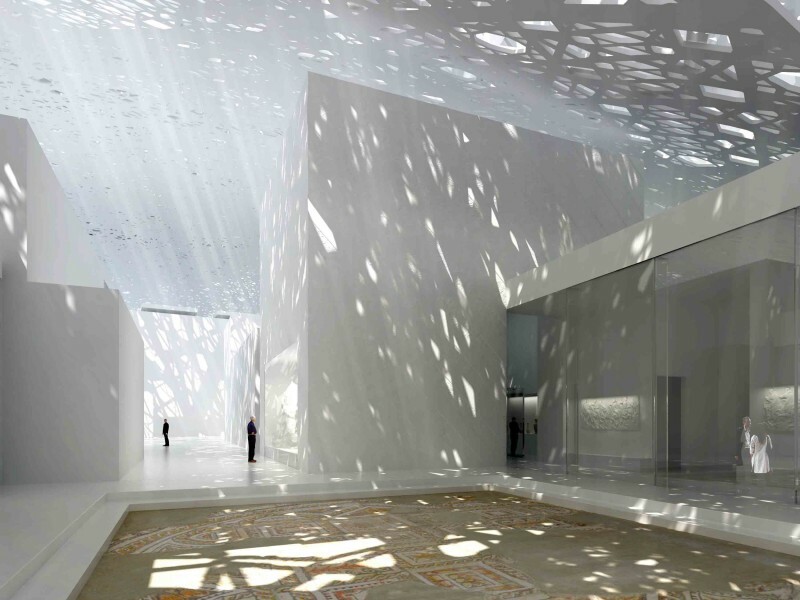 It shines in the sun of Abu Dhabi. 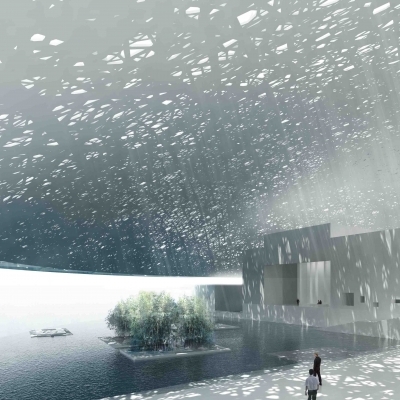 At night, the protected landscape turns into a haven of light under a star-spangled cupola.